This book introduces experimental design and data analysis / interpretation as well as field monitoring skills for both plants and animals. 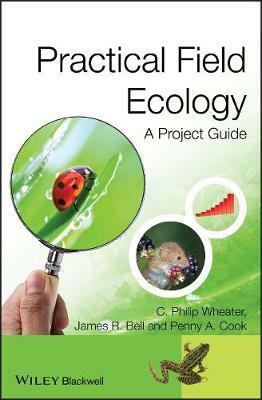 Clearly structured throughout and written in a student-friendly manner, the main emphasis of the book concentrates on the techniques required to design a field based ecological survey and shows how to execute an appropriate sampling regime. The book evaluates appropriate methods, including the problems associated with various techniques and their inherent flaws (e.g. low sample sizes, large amount of field or laboratory work, high cost etc). This provides a resource base outlining details from the planning stage, into the field, guiding through sampling and finally through organism identification in the laboratory and computer based data analysis and interpretation. The text is divided into six distinct chapters. The first chapter covers planning, including health and safety together with information on a variety of statistical techniques for examining and analysing data. Following a chapter dealing with site characterisation and general aspects of species identification, subsequent chapters describe the techniques used to survey and census particular groups of organisms. The final chapter covers interpreting and presenting data and writing up the research. The emphasis here is on appropriate wording of interpretation and structure and content of the report.